Hello, and welcome to CoCalc. CoCalc is a virtual online workspace for calculations, research, collaboration and authoring documents. Your web browser is all you need to escape the confined space of your desktop and move to the cloud. 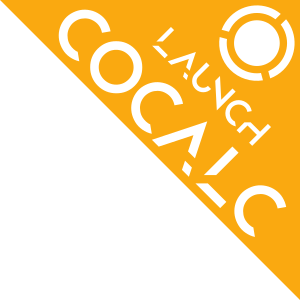 This guide explains the features of CoCalc in depth and shows how you can use them productively. The main building blocks for working on CoCalc are Projects. Create one or more projects in order to partition your work into separate workspaces. Each project consists of files, accessible only to you and your collaborators. You and your collaborators can edit these files at the same time, which means your changes are synchronized among all of you in real-time! Depending on the type of the file, it allows you to accomplish a specific task. They open up in their associated online editor and you start to work interactively in CoCalc’s environment. For example, files ending in *.sagews are for working with [SageMath] in Sage Worksheets, an *.ipynb file starts CoCalc’s implementations of the Jupyter Notebook, and a *.tex file opens an editor for LaTeX documents. To try out CoCalc, you might do the following steps. First, go through the Getting Started guide to create your account, your first project, and a worksheet. Next, check out more specific guides for Jupyter Notebooks, Sage Worksheets, and LaTeX documents. Beyond these, you can also work in a full Linux Terminal, run graphical applications in a virtual desktop, or edit plain text files. For the latter, note how the Frame Editor helps when working with such files, and offers syntax highlighting if you code in C, Python, or other languages. You can also Upload Files accompanying some existing notebooks, data files or LaTeX documents. Being online and in the cloud opens opportunities to share files and collaborate. You can communicate with others in a chat room or on the side of a file. This is especially useful in the context of teaching to help students. Check out our Instructor Guide for more details about conducting a course on CoCalc. You can also share your work publicly on the internet, access the entire history of modifications for specific files, and much more. Last but not least, the company “SageMath, Inc.” behind CoCalc needs your support to keep the service running and continuously improve it. Initially, you start with a Trial Project with certain restrictions – most notably your project runs with lower hosting quality and has no access to the internet to download data from other servers. You can upgrade your projects at any point later.